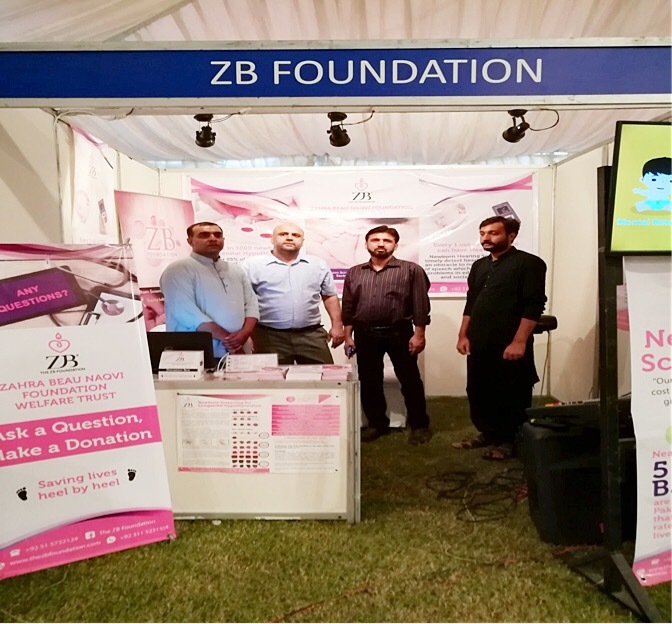 The ZB Foundation was invited to participate in Hashoo Foundation Health Fest on 28th and 29th September 2018, which was held at Pakistan National Council of Arts (PNCA) in Islamabad. Our team set up a stall over there to educate the audience over there about Newborn Screening. Hashoo Foundation is an organization that works actively to promote health, nutrition, education, economic empowerment, environment and climate change. It is spread across Pakistan via training centers and youth development clubs. Hashoo Foundation arranged a Health Fest to promote health from different perspectives like, hospitals, fitness clubs, national and international food cuisines, different forms of therapies, organic skincare, etc. Mr. Aamir Mehmood Kiyani, Federal Minister for National Health Services, Regulations and Coordination was the Chief Guest. He paid a visit to our stall. Let’s hope he remembers us in near future.